Adapt to Survive –  An epic story thrusts players into an ever-changing environment, forcing them to adapt their tactics and approach to conquer battlefields ranging from newly frozen jungle to zero-gravity alien environments. Customizable Weaponry – A huge arsenal of modular weaponry gives gamers unprecedented control over their play style. Blow the opposition away with experimental weapons, discover alien technology and utilize custom ammunition from incendiary-tipped rounds to tactical munitions that can silently put foes to sleep. Veni Vidi Vici - Lifelike enemy AI challenges players to assess a situation and approach it strategically. It isn’t about having the fastest trigger finger  players are challenged to be proactive in the fight, not reactive. Next-Generation Graphics - Built from the ground up using Crytek’s proprietary CryENGINE 2™, Crysis’ visuals define “state of the art,” with full DX10 support and scalable options to deliver solid performance on older machines. 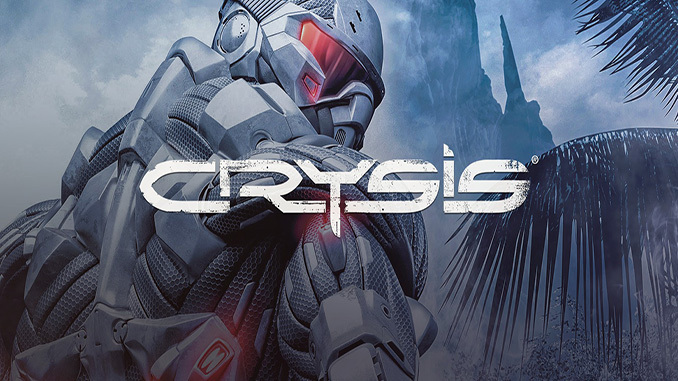 Open, Physicalized World - Choose your own path through the open world of Crysis, destroying obstacles, driving vehicles from VTOL’s to boats and using the environment itself against your enemies. What begins as a simple rescue mission becomes the battleground of a new war, as alien invaders swarm over a North Korean island chain. I have a win10 PC with Nvidia 1070 Graphics card, but keep getting an error message: Software 3D: Error initializing Graphic Interface! Do you have any suggestions as how to fix this error? hey ..can u get crysis 2 and 3? You can check system requirements tab and see if your system can run it.